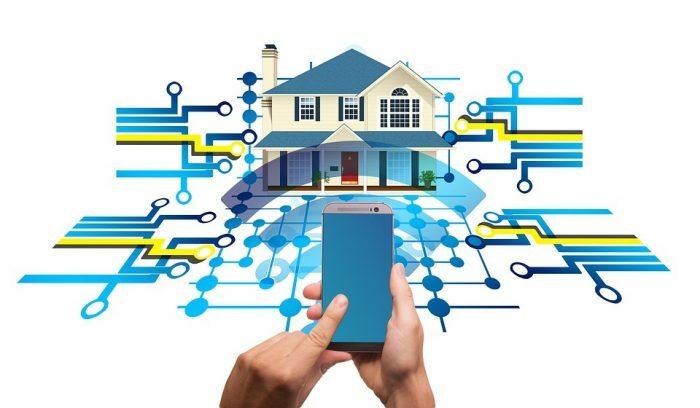 There has been much talk of “Smart Homes” – the power to connect appliances and devices to each other to allow them to communicate with a user and each other. The end goal is to automate the whole home, from curtains to locks, security to washing machines. Automation of households has actually been happening for over a hundred years. Back in 1883 the first thermostat was trialed, 1886 saw the first dishwasher design, in 1901 the first powered vacuum cleaner was invented and the microwave popped up in 1967, to name a few. The technology may have changed but the process hasn’t. All those inventions were created to improve people’s lives, to make daily tasks simple. Lighting systems that can detect people in the room and adjust the lighting if needed. Curtains and blinds that operate automatically dependent on the daylight. Smart thermostats with integrated WiFi so users can schedule, monitor and control home temperatures when away from the property. Smart locks and garage openers that sense when a user is close by. Smart TVs connected to the internet, some with voice or gesture recognition, linked to apps so users can schedule, record and save programmes. Security systems that allow people to monitor homes whilst away and even link to the police or a security company to alert them if any suspicious behaviour is detected. Automatic pet feeding or plant watering. Smart kitchen appliances such as coffee makers connected to your alarm clock, refrigerators that note expiry dates of food, generate shopping lists or suggest recipes. Washing machines and tumble dryers that can be activated from a mobile. Consumers always want a choice but in creating the perfect Smart Home they may not have the option. For a Smart Home to work all devices need to be compatible and able to connect to each other. If all devices are not compatible then you have the “square peg, round hole” situation. Tech companies can monopolise the market by only making their products work together. In order to have full functionality consumers may well be forced into purchasing compatible products. There are also the legal implications of smart technology as consumers have concerns over data sharing and gathering. Luckily the enforcement of GDPR means technology companies not only have to be ethical, they have to be open about any data collection to customers. Remember back, to what seems like decades ago, an age of advertising in newspapers and on television during scheduled programmes. Driving down the road and seeing a billboard or poster, getting a leaflet through the door. Now forward to the present, receiving a text when you are near a shop having a sale, getting an email with information about a new product, ads popping up on webpages, targeted advertising during breaks of your favourite programme. It’s only a matter of time before Digital Marketing and Smart Homes collide. The Smart fridge that serves adverts about a new brand of orange juice. A thermostat that updates you with the current energy prices and the best providers. We’ve already discussed the increased use of voice activated technology and the need to adapt SEO. In the future will we be setting up campaigns for web, mobile, voice and smart appliance? At eppiq we pride ourselves on keeping up to date with current trends and new innovations. For all your Digital Marketing needs get in touch today!